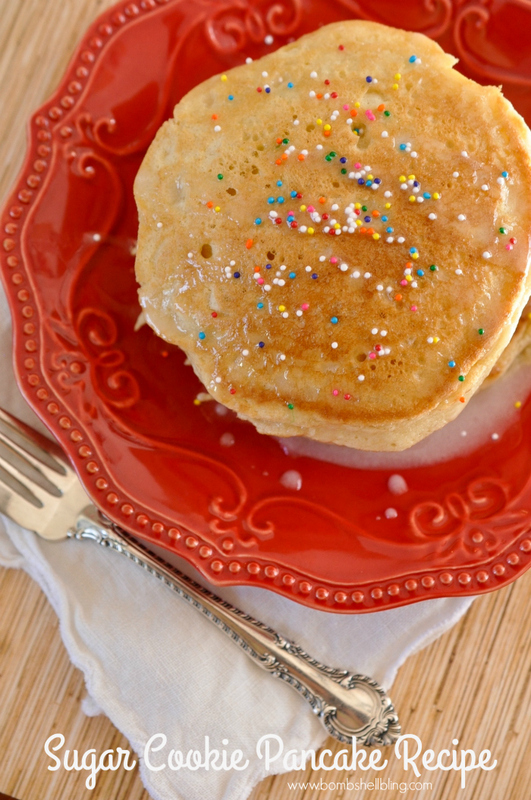 I am so excited to share with you today my recipe for sugar cookie pancakes. I know that sounds like a bit much, but even my husband who doesn’t love sugar cookies was delighted by the way that these pancakes turned out! They were just the right amount of sweetness, and we served them with real maple syrup. Yummmm. PERFECT for a big breakfast over the holidays with all of your loved ones! In order to get the sugar cookie taste in my pancakes I used International Delight Frosted Sugar Cookie creamer instead of milk. Yeah, it’s that simple! I also took the sugar out of my regular pancake recipe since I knew this creamer was so sweet. When I finished them my family ate them too quickly for me to photograph, so I had to make a second batch! True story. Now on to the recipe! I hope that you enjoy these sugar cookie pancakes this holiday season! 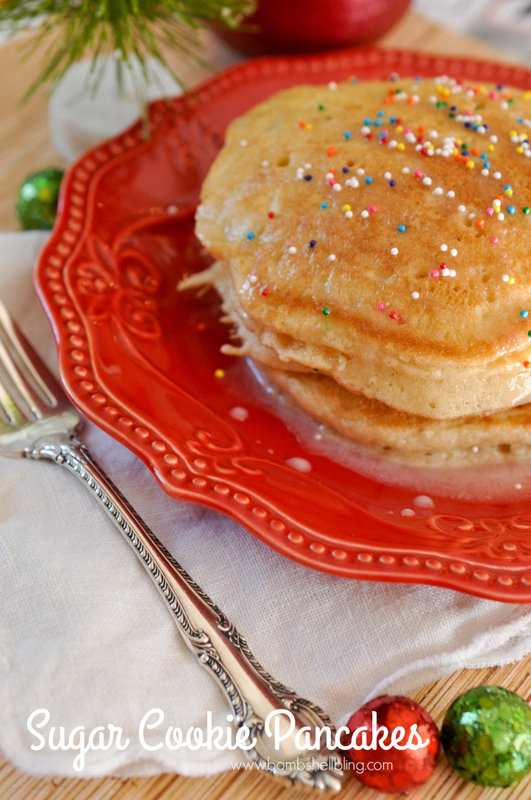 Sugar cookie pancakes are simple to make and sure to delight your holiday guests! In a large bowl, stir together the dry ingredients. Add the creamer, egg, and melted butter and mix well. Brown the pancake on both sides and serve hot with maple syrup.